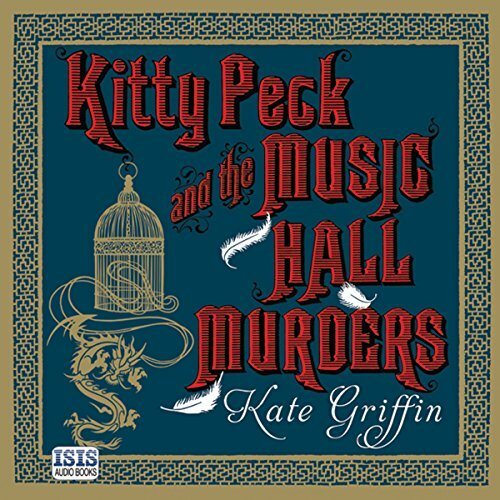 Showing results by author "Kate Griffin"
Limehouse, 1880: Dancing girls are going missing from Paradise - the criminal manor run with ruthless efficiency by the ferocious Lady Ginger. Seventeen-year-old music hall seamstress Kitty Peck finds herself reluctantly drawn into a web of blackmail, depravity and murder when The Lady devises a singular scheme to discover the truth. But as Kitty's scandalous and terrifying act becomes the talk of London, she finds herself facing someone even more deadly and horrifying than The Lady. March 1881, London's East End. Kitty Peck, a spirited but vulnerable 17-year-old, is the reluctant heiress to Paradise, the criminal empire previously overseen by the formidable Lady Ginger. Far from the colour and camaraderie of the music hall where Kitty had been working, this newfound power brings with it isolation and uncertainty. Desperate to reconnect with Joey, her estranged brother, Kitty travels to Paris.